There may be no better place to welcome the return of long summer days than Gig Harbor, tucked at the southern end of the Kitsap Peninsula. Easily reached by boat, the Tacoma Narrows Bridge or Hwy. 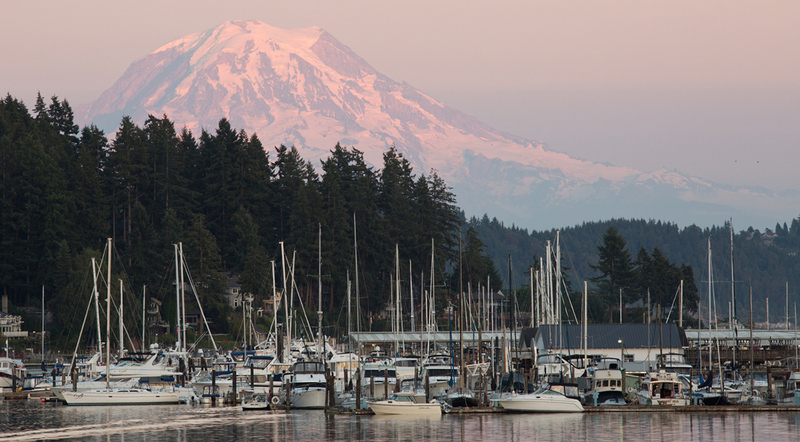 16, day trips are tempting, but Gig Harbor is best enjoyed at a leisurely pace. Park your car or dock your boat and stay awhile. An overnight is the best way to appreciate the charms of the city Smithsonian magazine declared one of the best small towns in America. Pick up a Waterfront History Walk brochure or join a free Waterfront Walking Tour to hear stories of the maritime city’s past." 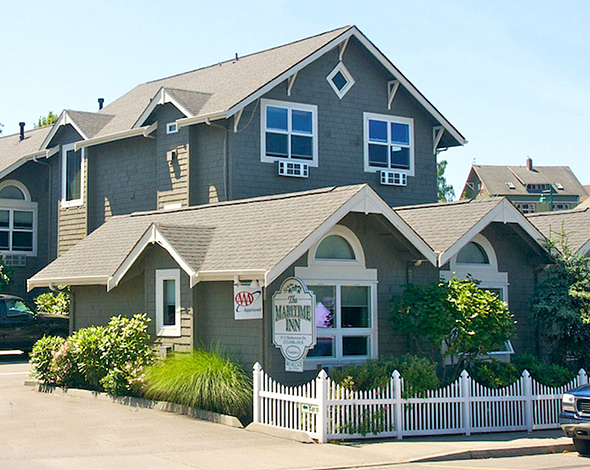 The Maritime Inn is the perfect home base for exploring Gig Harbor. The view of the waterfront from the lanai set the stage for the day's activities. There are several options for an extended Gig Harbor visit. The Maritime Inn is steps away from the waterfront. 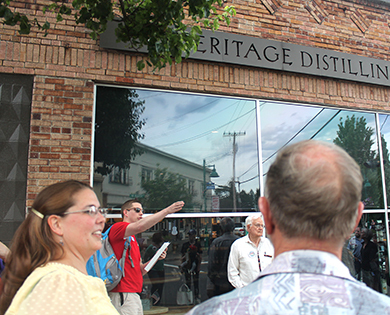 Each of its 15 rooms is named for an historic boat that operated in Gig Harbor’s waters. Once you’re settled, start walking. Excellent heritage and environmental markers ring the waterfront. Pick up a Waterfront History Walk brochure or join a free Waterfront Walking Tour to hear stories of the maritime city’s past. Sites include the old ferry landing, which was in use until 1940 when the first Narrows Bridge opened; the homes of town founders; and the Finholm View Climb at the north end of the harbor, which is the perfect place to pause and – if it’s out – admire the harbor-framed view of Mount Rainier. Boat tours of the harbor include a uniquely Gig Harbor gondola service. 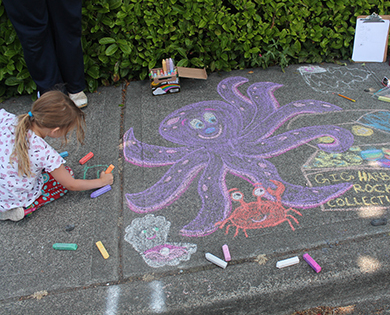 The Downtown Waterfront Alliance hosts Chalk the Harbor July 21. Walking tours are a great way to learn more about the history and culture of the Maritime City. Gig Harbor was settled first by Native Americans and later by Croatians and Scandinavians, who saw the advantages of its well-hidden harbor and built a community on fishing and related trades. So, it’s not surprising that locals say to truly get to know their city, you’ll need to get your feet wet. Rent watercraft of join a guided harbor tour —including the only Venetian gondola operation in the Pacific Northwest. “Because it’s a protected harbor, it’s excellent for boating,” says Josh Sherwin with the Gig Harbor Downtown Waterfront Alliance. Explore the harbor on a kayak or stand-up paddle board. Cruise out to the Tacoma Narrows on a motorboat. Wonder what’s below the water? Join an interactive program with Harbor WildWatch, an environmental educational organization. Back on shore, make your way to Skansie Waterfront Park. Gig Harbor Mayor Kit Kuhn calls the outdoor plaza “the heart of the town.” During the summer, the park’s sweeping, harborside lawn hosts Friday Family Fun Movie Nights in July and a free outdoor summer concert series Tuesday evenings, starting June 26 and continuing through Aug. 14. 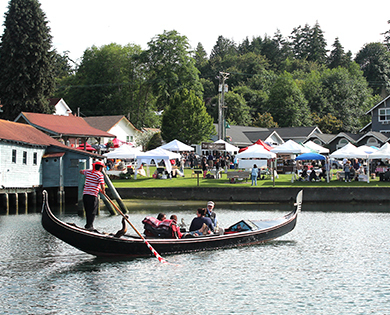 There’s an endless parade of small-town festivals and activities in Gig Harbor. Skansie Park is also home to the Waterfront Farmers Market, which opens for the season June 7. The Downtown Waterfront Alliance is celebrating its 10th anniversary with special events throughout the year, including Chalk the Harbor on July 21 and the Wine & Food Experience July 27-29. There is also a monthly First Saturday Art Walk. 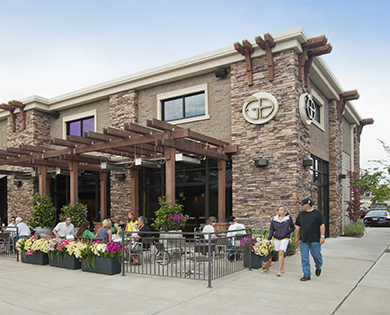 You'll find plenty of reasons to linger in the Uptown Gig Harbor shopping district. The Green.House is a popular, locally owned restaurant. In search of the perfect shoes to match that new handbag. 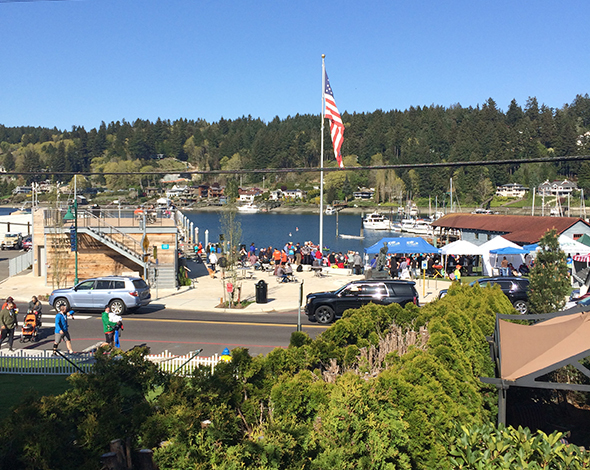 Uptown Gig Harbor hosts community events at its outdoor plazas. 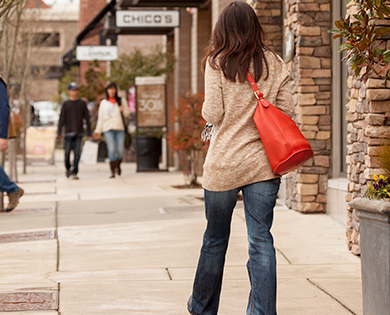 Because you’re spending the night, you’ll have time to explore locally owned businesses that line the harbor. Ready for more shopping? 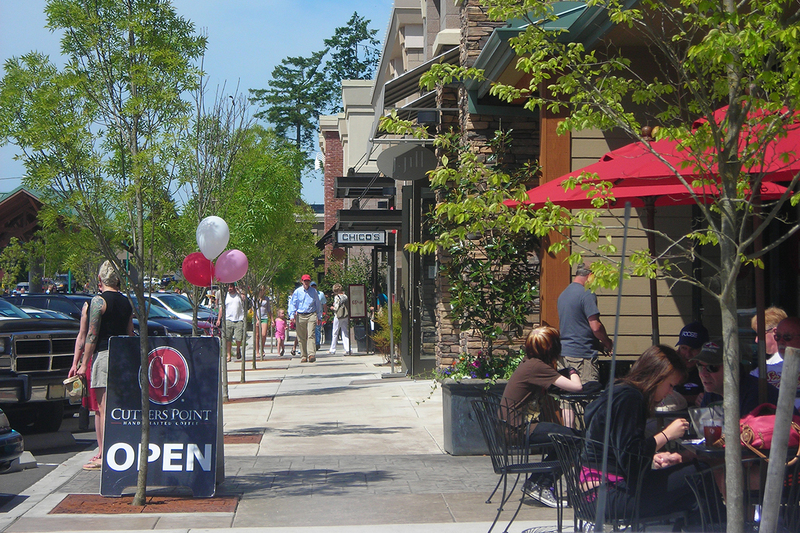 Look for colorful trolley stop signs and hop Pierce Transit’s seasonal trolley service between the historic waterfront and Uptown Gig Harbor, a lifestyle shopping center with more than 30 national and local shops and restaurants. Favorites include locally owned restaurants Green.House and Gertie and the Giant Octopus, a nod to the infamous Galloping Gertie. 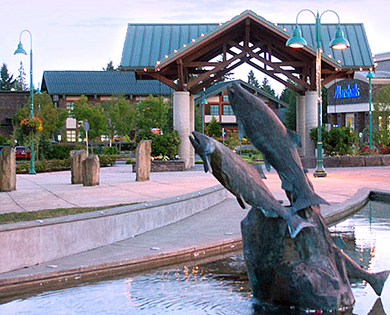 Uptown also hosts community events, including the annual Gig Harbor Film Festival (Sept. 13-16). The May 19 Gig Harbor Beer Festival, Summer Concert Series (Thursday nights in July and August), and Cruise the Narrows annual car show (Aug. 4) are also here. 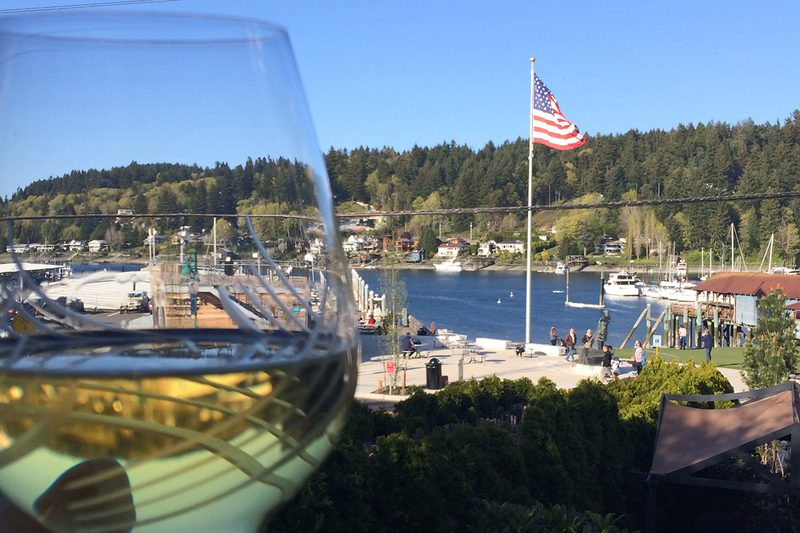 A crisp glass of a chilled Washington chardonnay is a perfect way to celebrate a great day in Gig Harbor. At the end of the day, make your way back to the harbor. The daytime buzz of the waterfront has softened. Find a seat at a brewpub or distillery. Choose from among several excellent dining options. Listen to the tide lap the shore. Then, as the sun sets, return to your room at the Maritime Inn. Flick on the gas fireplace and raise one final glass of wine to the charms of Gig Harbor. Aren’t you glad you lingered? Cheers! Expert tip: Confirm operating hours of shops and services before planning your trip. GigHarborGuide.com and GigHarborWaterfront.org are helpful resources.